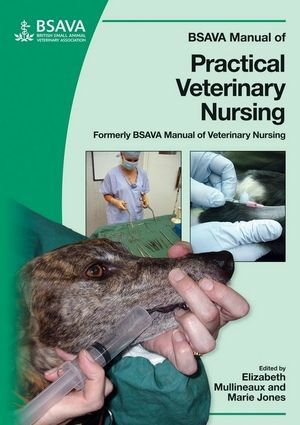 This practical accompaniment to the more theoretical BSAVA Textbook of Veterinary Nursing, Fourth Edition ('Jones's') has been completely revised to reflect to the advances in veterinary nursing. The layout lends itself to ease of use in day-to-day practice and provides useful information for many situations. It will help any nurse to make improvements in their daily nursing of animals and the care and service they provide to their owners. 1 Professional responsibilities of the veterinary nurse. 2 Client communication and advice. 3 Practical pharmacy for veterinary nurses. 4 Managing clinical environments, equipment and materials. 5 An introduction to care and monitoring of the inpatient. 6 The nursing process and nursing models. 7 Triage and emergency nursing.